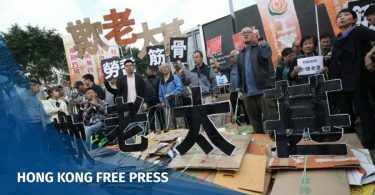 Wang, 42, who defended political activists and victims of land seizures, disappeared in the sweep — known as the “709” crackdown — aimed at courtroom critics of Communist authorities. Wang was “found guilty of subverting state power, sentenced to four years and six months in prison, and deprived of political rights for five years,” the Tianjin Second Intermediate People’s Court said in a statement. After more than two years of being in legal limbo — detained without a trial date — Wang’s court hearing took place behind closed doors in Tianjin on December 26. At the time, the court said the trial was closed to the public “due to the state secrets involved”. Wang’s wife Li Wenzu was placed under de facto house arrest the day before her husband’s trial to prevent her from attending. 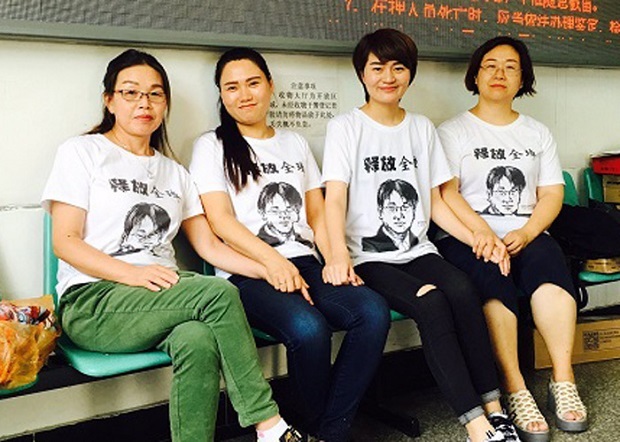 Liu Ermin, Fan Lili, Li Wenzu and Wang Qiaoling wearing “Free Quanzhang” t-shirts at the detention centre. Photo: Supplied to RFA. 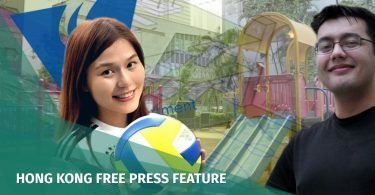 Li has actively protested her husband’s detention. Last April, she attempted to march 100 kilometres (60 miles) to the detention facility in Tianjin where her husband had been held. Rights organisations denounced Wang’s jail sentence, with Amnesty International calling it “a gross injustice”. “His sentence is part of the Chinese government’s ongoing crackdown on rights lawyers,” explained Maya Wang, senior researcher at Human Rights Watch. “In the past three years, the Chinese government has not only detained and imprisoned rights lawyers but also debarred them,” she told AFP. According to Doriane Lau, China researcher at Amnesty International, Wang’s four-and-a-half year prison sentence includes the more than three years the rights lawyer spent in detention. “He should be released in a little over a year,” she wrote on Twitter. "Today’s verdict is a gross injustice. 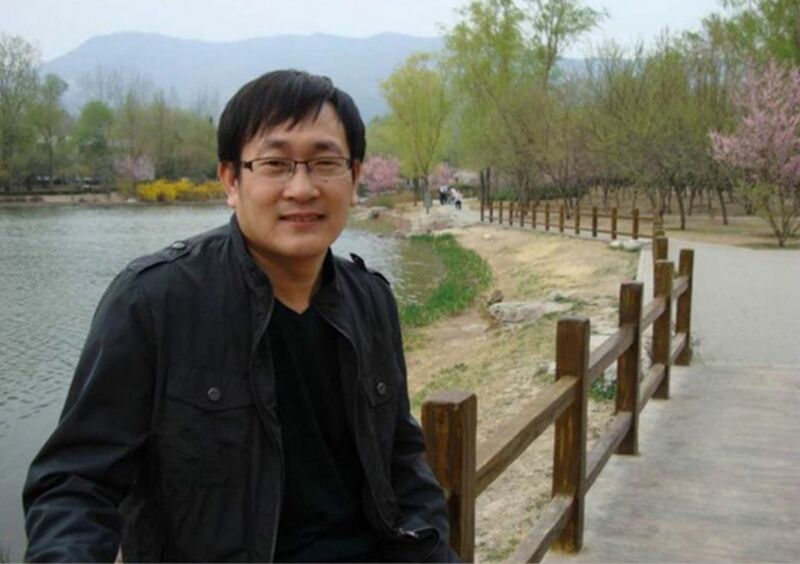 It’s outrageous that Wang Quanzhang is being punished for peacefully standing up for human rights in #China. He must be immediately & unconditionally released" – @dorianelau of @amnesty.